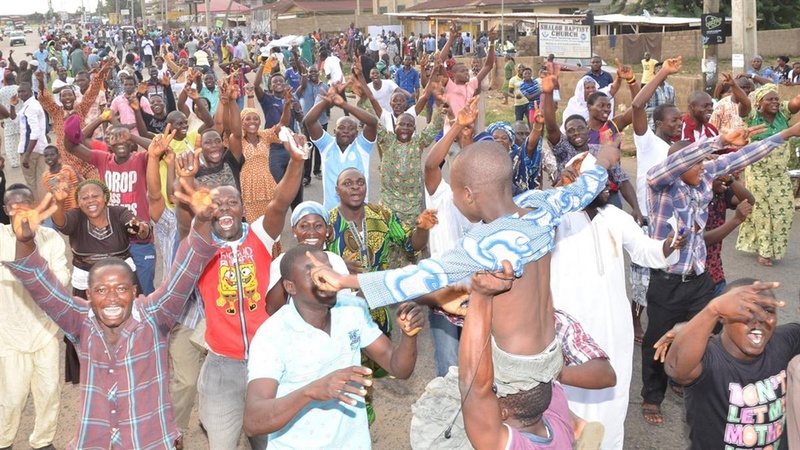 Osun Residents Celebrating PDP's Early Lead On Sunday. The Independent National Electoral Commission has set Thursday, September 27th as the date for the Osun Rerun governorship election. Bounce News correspondent, Lekan Oladehinde reports from Osogbo that the fresh poll will hold in only 7 units. This includes 1 unit in Ife South, 2 units in Ife West, 3 units in Orolu and 1 unit in Osogbo local council areas. All 48 political parties and their candidates will participate in the poll but only those registered in the named local council areas will participate. Election will begin at 8am and end at 2pm. Saturday's governorship election was declared inconclusive by INEC. The Chief Returning Officer said the total number of invalid votes was more than the difference between the two leading parties.